Our most powerful 15-inch 2-in-1. Built with the first-ever quad-core 8th Gen Intel® Core™ processor with Radeon™ Vega M discrete graphics on a single chip. Plus save $50 on 3 year Premium Support! Not sure if an Office subscription is right for you? By choosing Office 365, you will have the latest versions of Word, Excel, PowerPoint, OneNote and Outlook, plus 1TB of cloud storage and 60 minutes of Skype calls a month. Choose between the subscription for 1 user (Office 365 Personal) or up to 5 users (Office 365 Home), and always have access to your documents from your mobile phone, tablet, PC or Mac. EPEAT® Gold Registered. Registration varies by country. Please see www.epeat.net for specific country registration and rating. Star performer: Meet Dell’s most powerful 15-inch 2-in-1. With new 8th Gen Intel® Quad Core CPUs, more cores means increased performance, even with multiple applications running. Power engineered for perfection: Dell Power Manager, engineered by Dell, allows users to customize their laptop acoustics, temperature and performance based on their preferences. It also dynamically delivers the maximum power from your processor while monitoring and managing system temperatures. Adapts to the way you work: A built in gyroscope and accelerometer can differentiate between lap and tabletop positioning, upping your system’s performance while you’re working on your desktop, knowing you are not in contact with the base and adjusting the temperature accordingly. Go all day: More power doesn’t mean more plugging in. With up to 15 hours, 53 minutes of battery life* with FHD, your uber-powerful 2-in-1 can handle your big projects while you’re on the go. Picture perfect: The 100% Adobe RGB with 1500:1 contrast ratio display covers a wider color gamut and can show shades of color that are outside the range of a conventional panel (sRGB), so you can see more of what you see in real life. 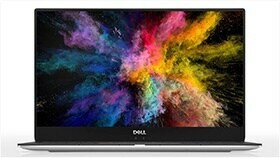 Slim and strong: The smallest, thinnest 15.6-inch 2-in-1, the XPS maintains its sleek form and incredible performance with innovative approaches to power in a space-saving design. Take note: The optional Dell Premium Active Pen delivers precise pressure sensitivity (4096), tilt functionality for detail shading while drawing and low lag for the most natural, accurate stylus experience. Write, draw, doodle or take notes with ease, then attach it magnetically to your 2-in-1 when you’re finished. You are the password: Choose between two secure, personalized ways to log on. The infrared camera with Windows Hello recognizes your face, unlocking your XPS with secure facial recognition technology. The optional fingerprint reader integrated into the power button lets you log on with just a touch. Strike up a conversation: Your 2-in-1 responds to your voice from up to 14 feet away, thanks to four built-in mics, Microsoft Cortana and Waves-enabled speech technology. Control playlists and access schedules regardless of background noise. 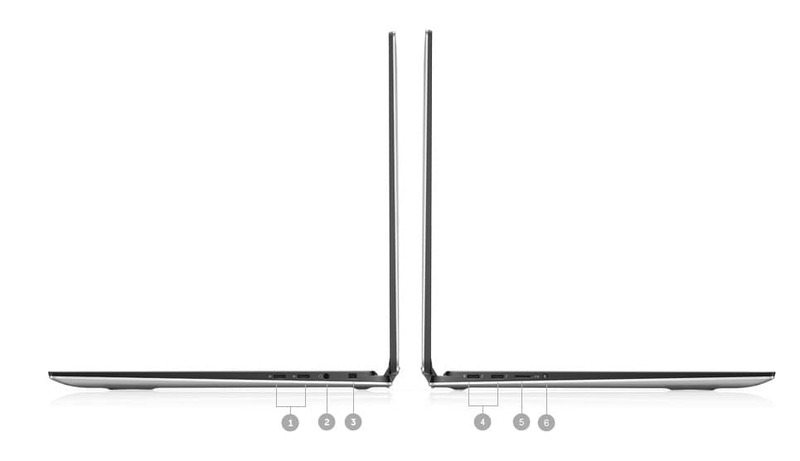 Leading-edge connectivity: The two Thunderbolt™ 3 and two USB Type-C ports allow you to charge your 2-in-1, connect to and power multiple devices (including support for up to two 4K displays). 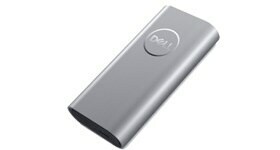 Your Thunderbolt™ 3 allows for data transfers up to 40Gbps -- 8 times that of a USB 3.0*. 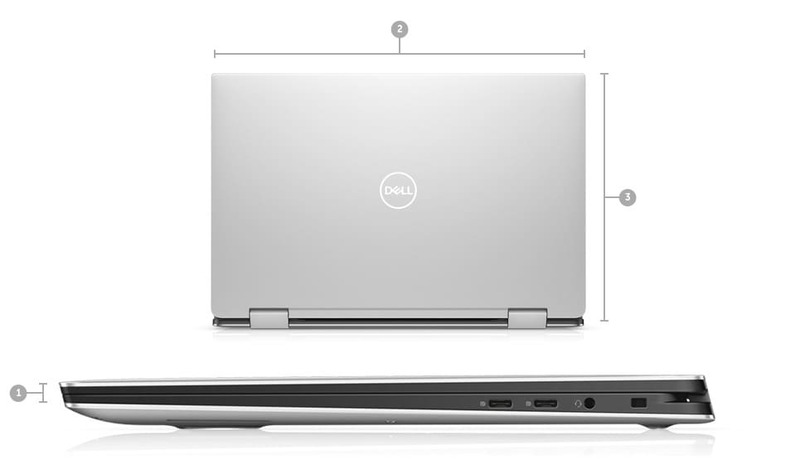 Advanced docking: The XPS 15 2-in-1 can be used with Dell docking solutions, featuring single-cable connections for power, Ethernet, audio and video. 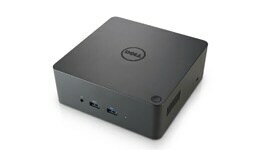 Add the optional Dell Thunderbolt™ Dock for faster data transfers and support for up to three Full HD displays or two 4K displays. Saving our seas: Twenty-five percent of our packaging material consists of ocean plastics collected from coastal areas, while the remaining 75% is made up of other recycled plastics. 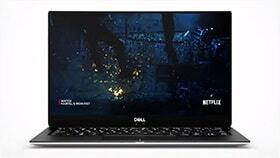 Power efficient: The XPS 15 2-in-1 is ENERGY STAR® certified. Smarter materials: Free of materials like cadmium, lead, mercury and some phthalates, it’s also EPEAT® Gold registered* and BFR/PVC-free*. 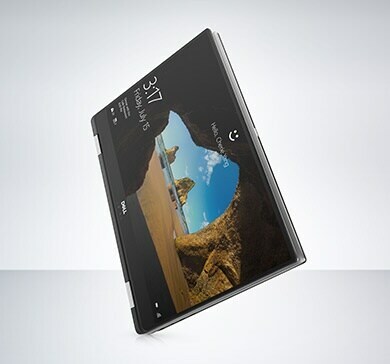 Recycle-friendly: 90% of the laptop’s parts can be easily recycled or reused. 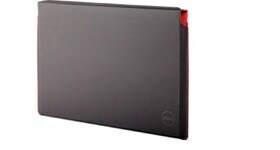 The XPS 2-in-1 is crafted from strong, sleek machined aluminum in either Platinum Silver or Brushed Onyx. The woven carbon fiber palm rest ensures maximum strength and minimal weight. Constructed with Corning® Gorilla® Glass 4, the screen is twice as damage resistant compared to competitive products. Enhance the mobility of your XPS with Dell-recommended accessories that can help you stay powered up, connected and protected on the go. 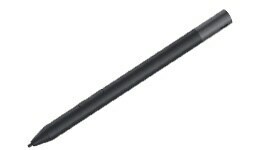 Premium active pen for your XPS 15 2-in-1 with 4096 pressure sensitivity and low lag for a natural writing experience and tilt support to enable detailed shading when drawing. 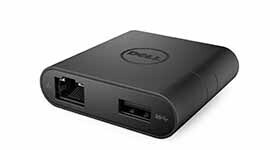 The Dell Adapter - USB-C to HDMI/VGA/Ethernet/USB 3.0 connects your mobile computer to an external display with your choice of HDMI or VGA outputs. Protect your XPS on the go with a sleek, custom-fitted sleeve with built-in pen holder for the optional Dell Premium Active Pen. Keep your XPS and accessories organized and secure in a TSA Checkpoint-Friendly* design with features specifically designed for Dell accessories. 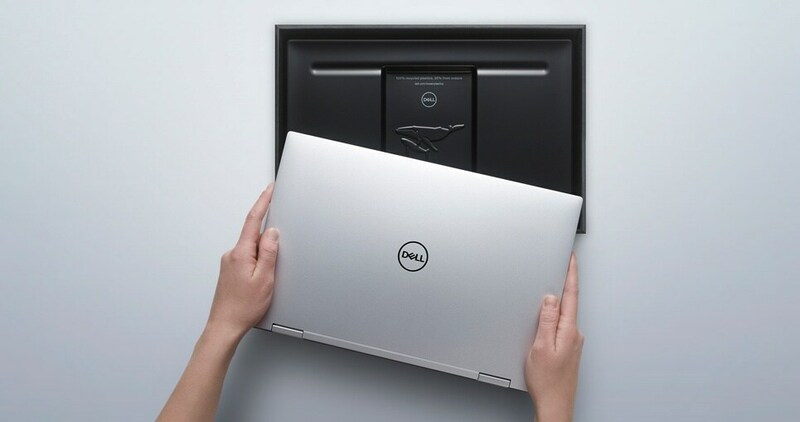 Maximize the performance of your XPS with accessories that do double duty for work and play. 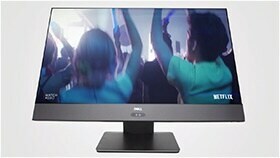 Increase your productivity in the office, improve your entertainment at home. Connect your XPS to a single data and power source to allow for the ultimate display performance—up to three Full HD displays or two 4K displays- and faster data transfers. 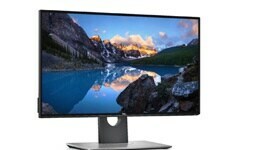 See the whole picture on a 25" screen that features an InfinityEdge, virtually borderless display on all four sides with QHD resolution—nearly twice as crisp as Full HD displays. 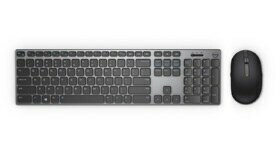 Experience a uniquely designed arc-shaped mouse that works on any surface and a full-sized keyboard with multi-OS support and popular shortcut keys. Easily switch between three devices using 2.4GHz wireless or Bluetooth LE. HotHardware Video Review of the Dell XPS 15 2-in-1. April 11, 2018. 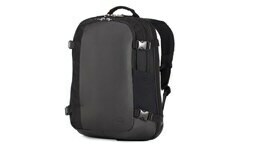 Price varies by configuration and source.